Sometimes you just need to get away from the rat race! I always have some sort of adventure, even a small one, planned. By the time this one arrived, we were fit to burst with excitement! 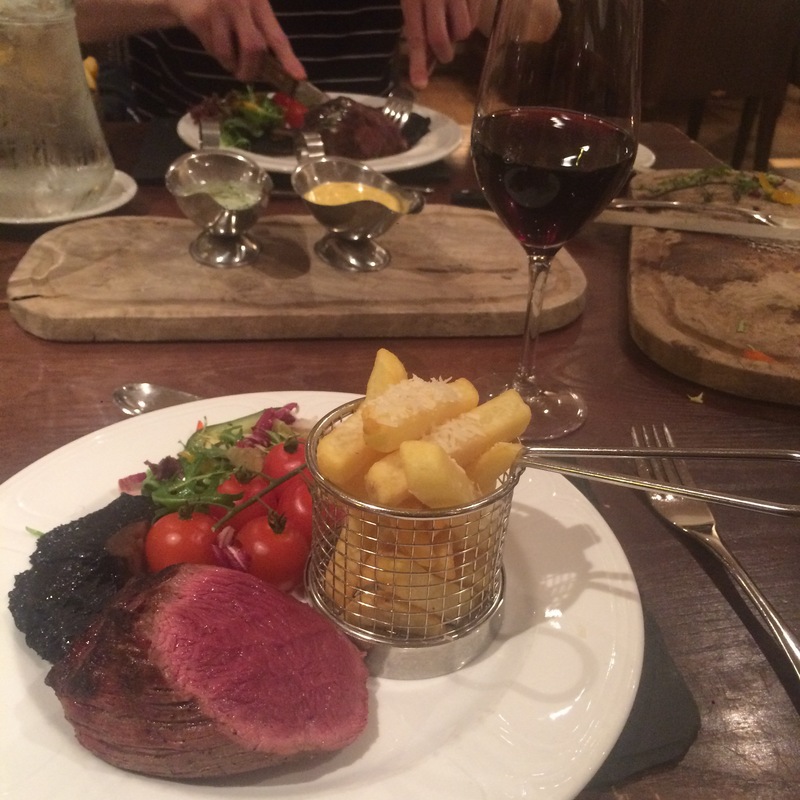 And that was without knowing I’d be washing a chateaubriand down with a nice glass of red within a few hours of arriving! I had chosen this hotel as the company who owns the Isle of Mull Hotel & Spa also owns this one. My excellent experience there gave me great confidence in this location! 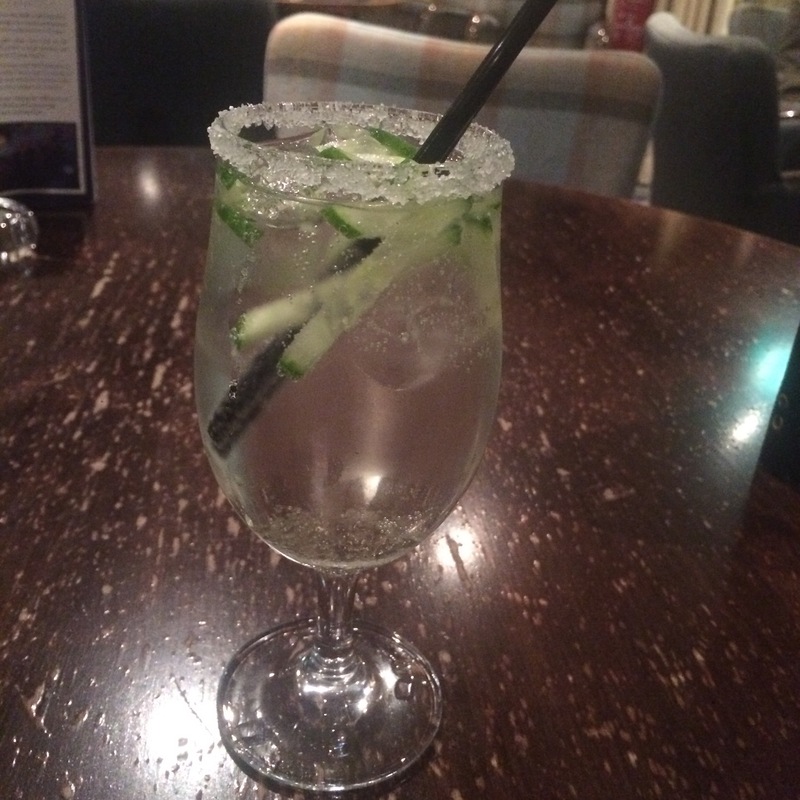 We arrived to the Loch Fyne Hotel & Spa in Inveraray and our first thought was to get in the jacuzzi before the health suite closed for the night. The next important task was a good feed. 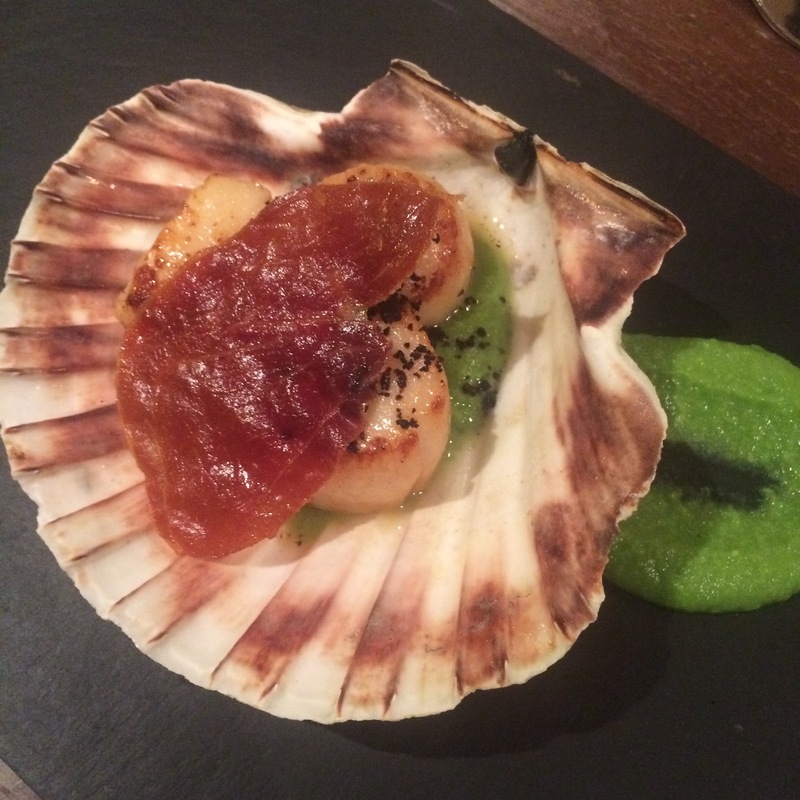 We were very cute and ordered the same as each another – starting with some fresh, meaty Loch Fyne scallops with pea purée and pancetta. It was simple and delicious! 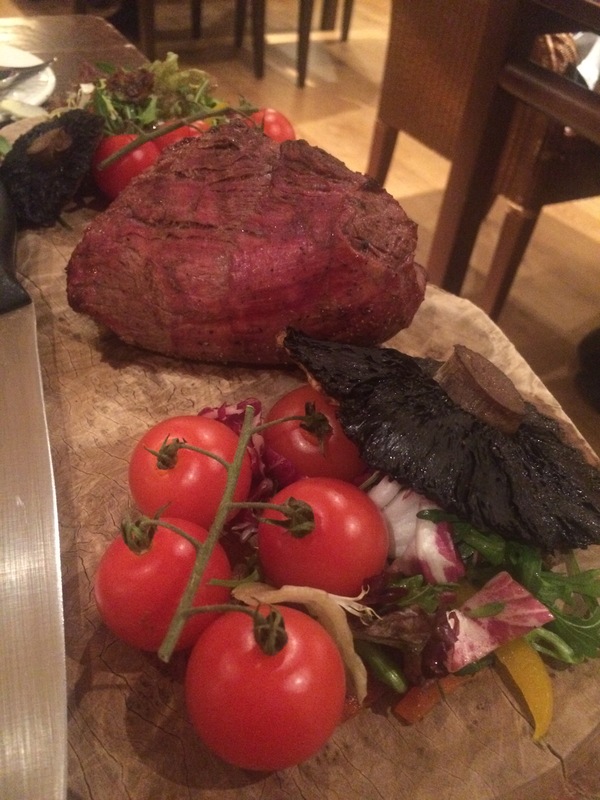 Our next step was the chateaubriand. The minute they placed it in front of us our eyes lit up! Look at that big ruby! 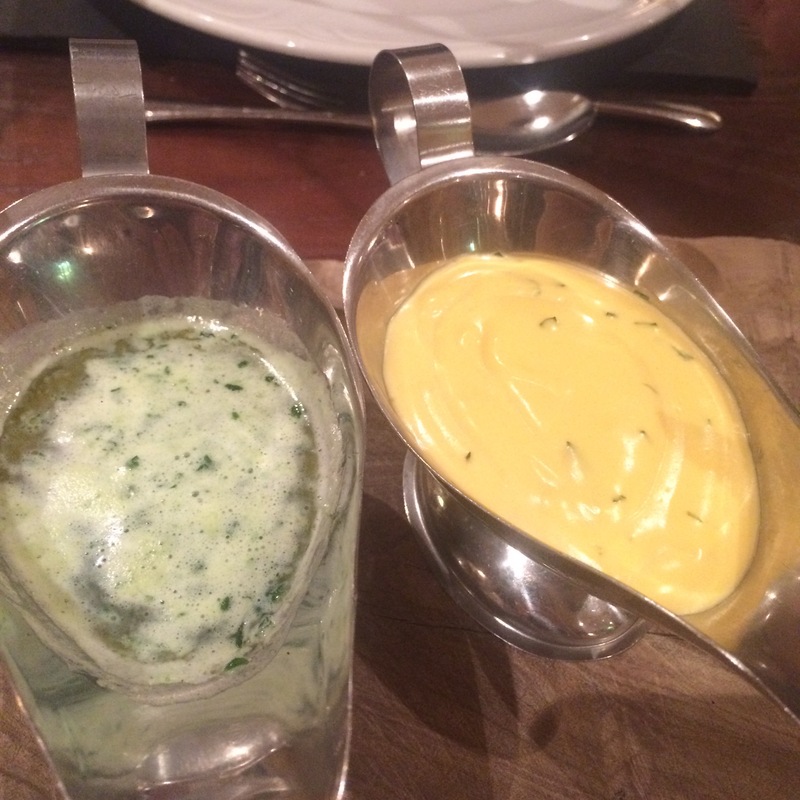 The steak is served with a choice of sauce – béarnaise and garlic butter for us, house salad, mushroom and choice of fries. Sadly there is a tragic twist in this tale, and the tragedy was the portion of “fries”. 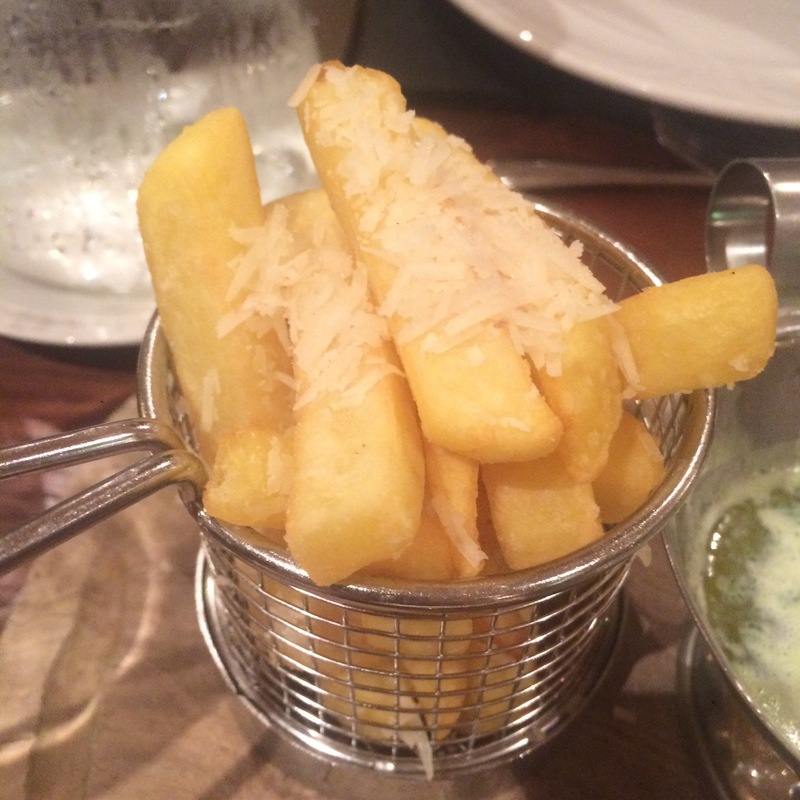 These were meant to be truffled Parmesan fries…but what I was served was a basket of oven chips with cheese on them, and I’m seriously doubtful that it was Parmesan; it was tasteless. And… they weren’t properly cooked, so I sent them back. My replacement chips (not fries) were cooked but still not a hint of truffle and no Parmesan. Given then rest of the meal, it made me really sad to have those chips in front of me so I just ignored them. Anyway – back to the meal. Chips aside, this was flawless. 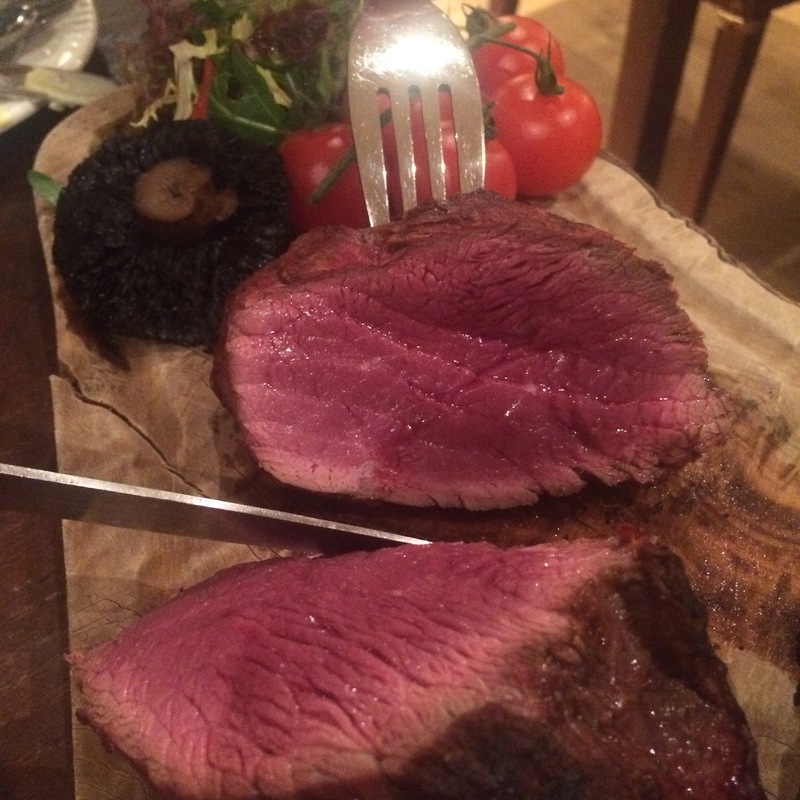 The meat was cooked to perfection and tasted absolutely delicious. 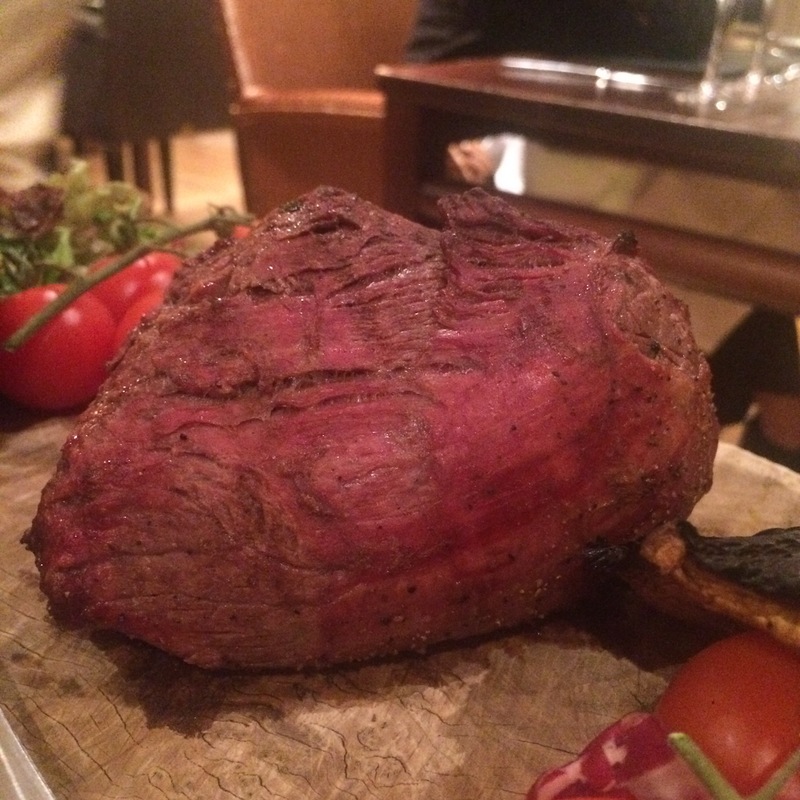 The freshness of the salad coupled with the rich béarnaise sauce atop this beautiful meat was just a treat. I just wish I had some truffled French fries! Dessert came in the form of some delicious gin. And rum. 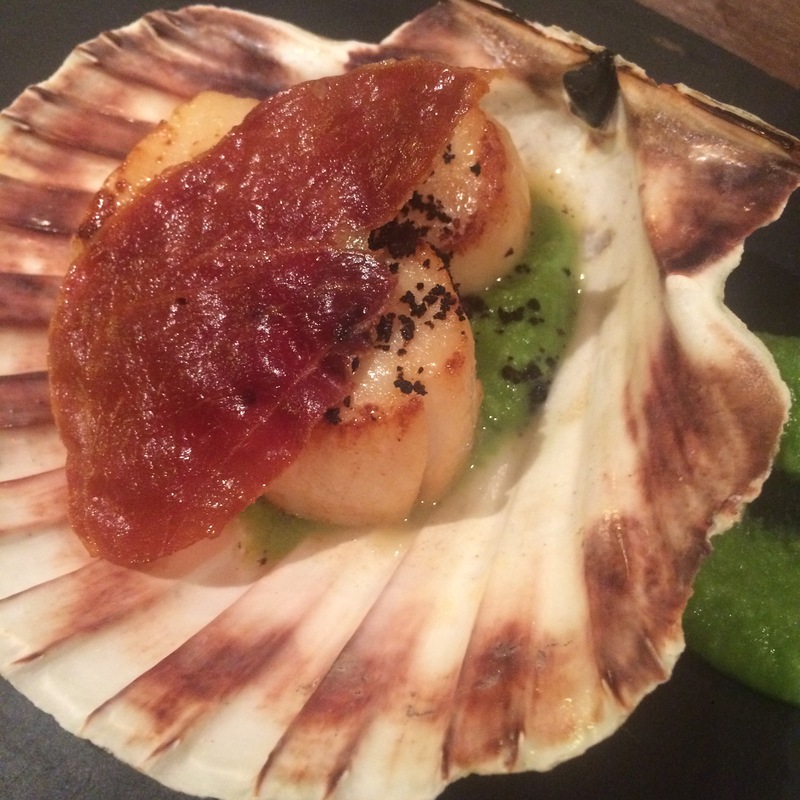 I would absolutely recommend the Loch Fyne Hotel & Spa for a weekend getaway – 2 hours from Glasgow and that was us leaving at about 3pm – and it has everything you need under one roof. 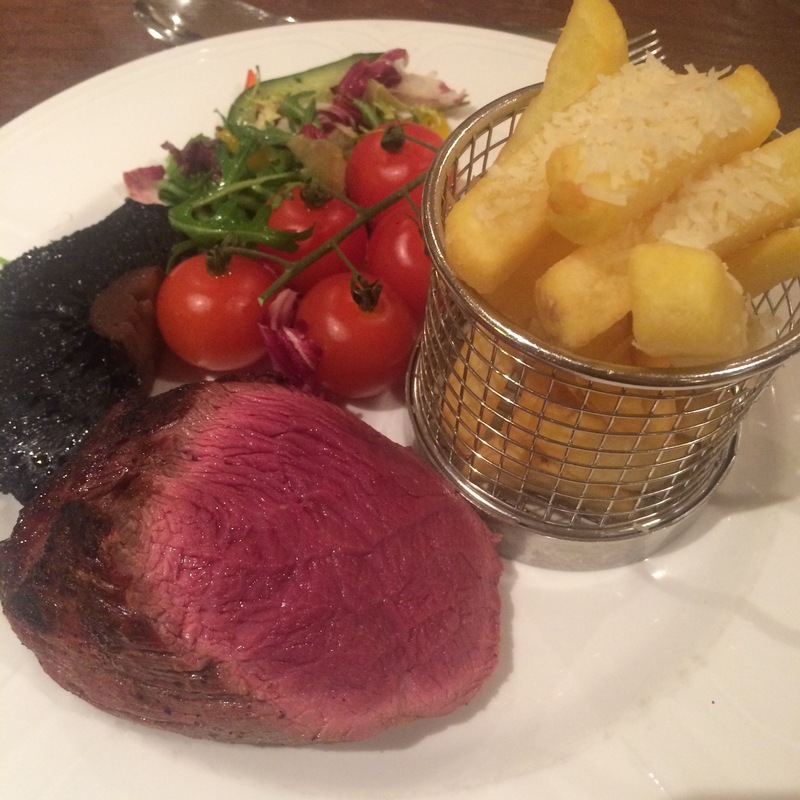 Tasty food, lovely bar, leisure facilities, really friendly staff and a brillliant location. I’ll definitely go back! oh my god that steak..! I need it in my life/mouth/stomach!